Avenston is focused on project management and implementation of RE projects. Our company has wide practical experience in the following issues: development, design and installation of power generation systems, transition and distribution systems (low, middle and high voltage up to 35 kV), commissioning works, turnkey project management in renewable energy sector. The high-competency level of our specialists has been obtained through project realization as well as during skill improvement in Ukraine. It allows us to accomplish a full complex of services regarding engineering, installation, start-up services and maintenance. Our team of qualified professionals has acquired uniquel experience in the field of alternative energy and energy efficiency. 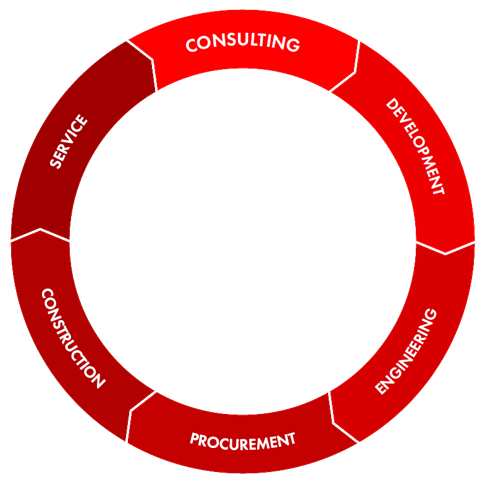 Our qualifications allow us to perform projects of any complexity. We practice individual approach to each of our customer, aiming at the most effective problem solving and long-term mutually beneficial cooperation. Successful implementation of projects is not possible without efficient management system. Modern methods of project management, the use of best global practices let us guarantee our clients a comprehensive approach and successful implementation of projects of any complexity. Avenston provides the whole range of services for managing business-processes related to the projects implementation, while maintaining strict quality control and deadlines at each stage and the whole project. Future project audit – studying of all available project materials (land documents, engineering surveys, network connectivity, weather and insolation data, available technical specifications and limitations). Coordination of requirements for the facility (list of main equipment or requirements for it, capacity of the future solar power plant, stages of construction and commissioning, list of works and services of the contractor, etc.). Preparation of commercial suggestion and work schedule. Preparation and analysis of the financial model of the project. The signing of the general contract. Gathering and refinement of pre-project output. Development and coordination of the working draft, passing of PD examination. Obtaining the necessary permits to start construction work. Technical acceptance of the object for correspondance with project documentation. Connecting solar power to the networks. Registration of licenses and «green» tariff. In some cases, individual items from the above list may be missing or go in a different sequence.